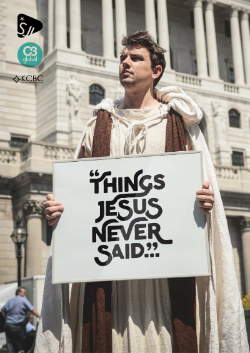 ON SUNDAY 23rd October we continue our new Autumn teaching series #ThingsJesusNeverSaid in the English service. We thought about challenging misconceptions surrounding the words of Jesus from the Gospels. In this week’s message, did Jesus say he was simply our ticket to heaven, or did he say he was something more? It’s a thought provoking message so why not share this with a friend.